MaxLove Project is — literally — an active collection of high-impact projects. We are not a static “foundation” but a dynamic innovator for positive change in pediatric healthcare with a specific focus on childhood cancer and related life-threatening illnesses. Our projects are all based on our foundational BeSuper 7-Point Action Plan and include complex health behavior interventions, such as kid-friendly cooking classes, moderated peer support, tangible quality-of-life educational resources, and funding research that focuses on how families can help their kids heal and thrive through daily actions that benefit their health. 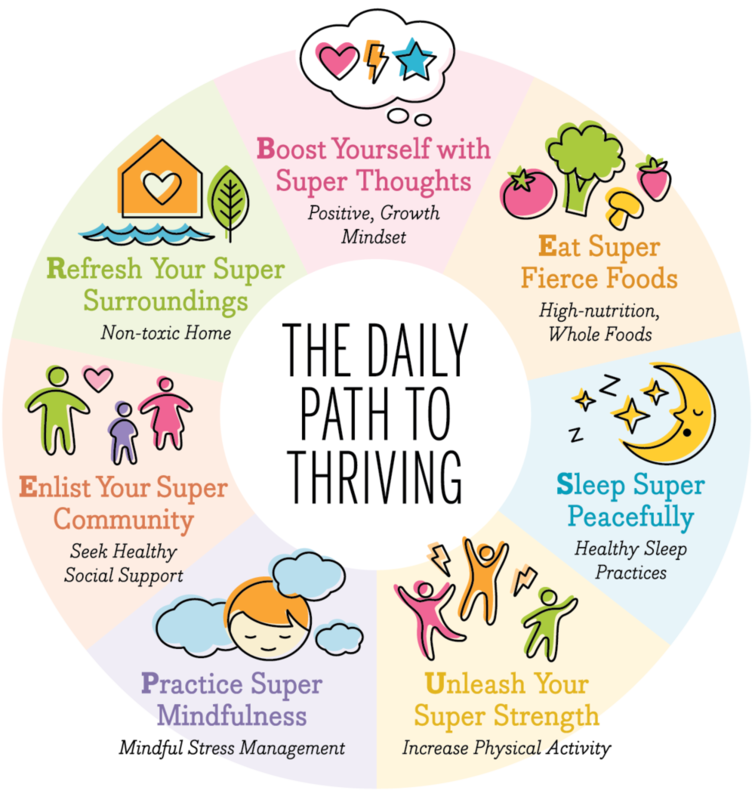 Every “project” at MaxLove Project is based on our evidence-based BeSuper 7-Point Action Plan, a comprehensive set of healthy actions for families to focus on at home and in their community. We believe that true health and optimal quality of life come from practicing these well-researched, high-impact health behaviors. Our goal is to give families support, resources, and information that will help them BE SUPER during cancer treatment and long after. Our program development process is always founded first in research and is then translated into development, implementation, and assessment. Our ultimate goal is to ensure that these healthy actions are incorporated into standard of care for all kids facing childhood cancers and related life-threatening illnesses. MaxLove Project is an innovative nonprofit organization that advocates for the integration of evidence-based quality-of-life care and integrative medicine into standard pediatric cancer care. We do this through our support of pioneering cancer research, family-centered programs, easy-to-understand health education, and support for complementary and preventive therapies in healthcare settings. Each of these initiatives aims to improve quality of life and reduce health risks for childhood cancer patients, survivors, and their families.